Sledding at night is fun, but I need to come up with a camera mount for my hat or something. Steering with one hand is rather difficult as you will see in the video. 60,000 web pages a year. Wow. Too interesting an idea not to post on. Anthology Builder allows you to pick and choose a selection of short stories, which will then be printed in a professional, custom paperback book. (It looks as though hardcovers are not available at this time.) There is a 350 page limit for each book, but the font size can be reduced to fit more, if your eyes can handle it. I put a collection together to look through the site's features. This was the result for a 294 page softcover book. I received my gift card from "Best Buy" in the mail today. My $75.00 gift card. At the outset of this issue, I never planed to darken the doorway of any of their stores again. Now, however, I am quite satisfied with their method of resolution for this problem. True, I didn't have my camera for longer than I would have liked, but a seventy-five dollar bribe* to forget about it seems sufficient from my point of view. If you don't know why "Best Buy" is sending me large sums of money, you may want to start at the beginning of this tale, or read the first update, or even the second update. *If you don't like the term bribe, please pretend that I wrote graft. Err, I mean gift. I received another email from Sarah Pieper (of "Best Buy") today. The "Geek Squad Public Defender" and "Executive Resolution Specialist" for "Best Buy" if you recall. Thank you for your reply. I have located your service order, and again I apologize that you have not received the level of service that you had expected with our stores. Please let me know if any updates need to be made to your address. Delivery will take approximately two to three weeks. Thank you again for sharing your experience with our offices. I received the following email in response to yesterday's post. repairs, I appreciate the chance to address your concerns. in an effort to avoid a similar incident from happening again. to return to our stores. that we will have an opportunity to serve you again in the future. My Deplorable Experience with Best Buy. Read Update 3 for the favorable conclusion to this true tale. To: Mr. Brian Dunn, President and Chief Operating Officer Best Buy Co., Inc.
Let me tell you about my experience I had with "Best Buy." I was a first time customer. I had high hopes--hopes that would be quickly dashed. In short, it was the most painful series of customer service interactions I have ever experienced. In September of 2007 I purchased a camera from "Best Buy". I got the longest, most expensive "Best Buy" warranty that I could to go with it. 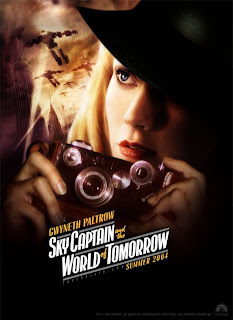 At the beginning of April of 2008 the camera broke. I took it to a "Best Buy" location in San Marcos, CA. This was on April 7, 2008. They took it and said it would be 10-15 days before I would have it back again. The repair work would be done free of charge, as it was covered by the warranty. A week or so later, in order to find out the status of my camera, I called the store during normal business hours. Each time I selected the option to talk to someone from the "Geek Squad" the phone would ring from three to five minutes, and then hang up on me. To circumvent this, I called back, then pressed the option to talk to someone in customer service. From there I asked to be transferred to someone on the "Geek Squad." The same thing occurred. I finally reached someone by having the employee in customer service go and physically find a human from the "Geek Squad" and have them pick up the phone. I had to make no less than four phone calls to the store to find out the status of my camera. I was told that it had been shipped out of state, and that they could not tell me anything concerning it's status. I find this utterly unacceptable. I have never been told that by anyone from any other company, ever before. I called back some days later. I had to go through the same sort of rigmarole to speak to a human in the "Geek Squad." This was exacerbated by the fact that there was no machine system for me to interact with. How often does someone complain that they'd rather talk to a computer than to a human? That shows just how bad this was. On this occasion, I received contradictory information from two employees. I was finally told that my camera had been repaired, and was "in shipping." It was sent via UPS. I asked for the tracking number since no one seemed able to tell me even so little as what state the package was in. I was told that they could not give out that information because it was shipped with other items in a large package. What the number of items in the box had to do with the tracking number, I was never able to determine, and eventually gave up. I finally received a phone call the next week informing me that my camera was repaired, and ready to pick up. I live in a small town, an hour away from the nearest "Best Buy" location, so it took me a while before I was able to get down to the store to retrieve my camera. I, of course, did not have either my battery or a memory card with me when I picked it up, as it is requested by "Geek Squad" that you remove these items before bringing in a camera for a repair. The next morning I was using my camera to take pictures of a friend who lives in New York, and was only in town for her grandmother's funeral. After taking several pictures, I attempted to put the camera in view mode to see how the pictures were coming out. The camera would not go into view mode. Did I mention the issue I sent the camera in for in the first place? It would not go into view mode. This was, to say the least, inordinately vexatious. As I mentioned above, I live an hour from any "Best Buy" location. As soon as was practical (on May 17th) I went back to the store to have my camera repaired. Remembering my poor experience at the location in San Marcos, I took my camera to a location in El Cajon, assuming I would get better service at another location. Boy was I wrong. I related this sad narrative to the man at the "Geek Squad" counter. I was told that I would have my repair expedited. This was something, though not much, of a consolation. The next week I called to find out the status of this second attempt to repair my camera. Remember the hassle I had trying to get information I had the first time around? This time it was worse. I called on May 22nd, 23rd, and 29th. On each occasion I had to call back several times to get a human. Each time I had to wait upwards of a quarter of an hour on hold. When I finally did speak with someone, I received such useful answers as "I don't know." And "[There is] no way to tell [the status of the repair]"
I was told that they were not doing the repairs, but were simply the middle men. I asked for the phone number of the company actually doing the repairs, and heard the first six digits when I was cut off once again. I called back. I got someone in customer service. I asked to be transferred to the "Geek Squad." After waiting a few minutes, I got customer service. I once again asked for the "Geek Squad." Several minutes later, I got customer service. I, for the third time, asked for the "Geek Squad." This time I finally got the "Geek Squad." The man immediately put me on hold while he found a computer that could give me the information I needed. He told me that the repair had been completed, and was now in the shipping process. I was told that the shipping procedure would take five or more days. (That's expedited?) And not only that, but the package would be shipped from out of state, not to me, but to a store an hour away from my home! Why not just have it delivered straight to me? I called "Precision Camera," the company that does Best Buy's camera repairs. I quickly and easily reached a woman who was quite helpful, and gave me all the information I requested. Including a UPS tracking number for the package the camera was in, contrary to what I had been told by several "Geek Squad" employees. I tracked the package (1Z A62 R37 12 5365 436 1) until June 2nd, when it achieved the status of Delivered. I called the "Best Buy" store no less than four times that day, each with multiple failures of the employees to successfully transfer a phone, or having it hang up on me. I finally gave up. Two days later I finally had my camera back and in working order. And thus ends my doleful tale of how I was treated at "Best Buy." What happens when three people don't get enough sleep? Why The Jeremiah Hickabilly Show of course! The views and opinions expressed by the hosts, guests and advertisers of the Jeremiah Hickabilly Show are not necessarily shared by the the owner of this blog. I just ran across this video (here). A barrel shroud is a safety feature. This woman thinks we should ban/regulate them. Her reasoning will astound you. The clip is under a minute long. I was at at prison/resurch facility in deep desert. Test goes wrong. Bomb explodes. The OIC decides to convert all inmates into power. It will of course kill them. It was an accident the bomb blew early. Almost killed the test team in the sand. I escaped. I'd been jailed for being too close to to the test. I saw the lack of safety protocols. I heard the order to convert to power. I ran. I fled. Fleeing from place to place, I eventually made my way home. Bt this point, Everyone thought I was a bad man. I was a fugitive for something. Not for what I'd done. I knew If I was captured that I would be killed right away, before I could squeal on the OIC. I picked up a pair of HC M-SD Cards. I made it home. I got to the church building where I'd been going. My sister (dark hair) brought me food. I ate in the attic. I was going to stay there, sleep. But there were too many of them. They were going to find me. I ran again. Someone grabbed me. A cop. I couldn't get away. I knew I was dead. No way out. He was trying to lock my brain. I'd be helpless then. Unable to fight. He almost had me locked. I was desperate. I initiated Brain Dead. I would be dead in moments. Every man's right. The cop looked to his superior, should he let me? She shook her head, but she said yes. What kind of man, she must have thought, would kill himself? I don' t know if she knew what was waiting for me. Must not have, not with that look on her face. Remember those CH M-SD Cards? I had placed a back up copy of Me in each of them. As I sagged to the ground, my last bytes on their way to the either, I popped in the card. Back-ups are wonderful things. Don't leave home with out them. I don't. My memories of the last few hours would be a bit fuzzy, but the brain would retain residue images of things past. The cop tried to grab me. But I was off again. Through the town I ran. Up stairs, through shops, past stores, down stairs. Past the horse corral, almost to the open fields again. Almost to the country. Almost to safety. I had eluded so many cops. I could see lights flashing all around. A car pulled up behind me. One of those big ones. It pulled past me and parked. On the other side of the open field, there were more of them. This one was so close. Bor was a friend of mine. I went to a Bible study at his house. He was a cop. I'd know him for years. He walked up slowly. He offered me hope. The first I'd had since the alert went public. I trusted him. You always hear the saying, hide in plain sight. That's was Bor did. He took me to jail, put me in a cell, and locked the door. I was relieved. It was the local holding station. There were a few other people in there with me. A little while latter, when the broadcast stared, I was so happy. I'd done it. The imprint from a HC M-SD Card was better that an eye witness. Bor transmitted it on all the bands he could. A cop has access to a lot of bands. I sat in that cell, and I laughed. I sat in a cell, but I was free. 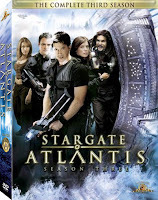 I've just completed watching the third season of "Stargate Atlantis" on DVD. It was fantastic. Although the Wraith were not as prevalant in this season as in times past, when they did show their ugly, pale faces, they presented unique and interesting challenges for Weir, Shepard and company to overcome. The time not spent on the Wraith was filled with character development, new people introduced (Meredith's sister ) old enemies revisited (the Jenni), new enemies encountered (a new breed of Replicators) and some out-of-this-universe conundrums. My biggest complaint of the season was, and it's a real doozy, the manner in which Dr. Carter Beckett died. The fact that he died at all, I object to because I liked everything about him; from his accent to his manner, to -well, everything. Dr. Beckett ought to have been given the honor of giving his life for someone whom we, the audience, actually care about. Tala, Ronan, Zalanka. Even Lorren would have been OK. But to cut off his life for a faceless man? I call it a waste and a shame. It's happened. The end has come. Let me add to that, "Once in a system, you can only get deeper."